SAN FRANCISCO, Calif. /California Newswire/ — EPIC Insurance Brokers and Consultants, a retail property, casualty insurance brokerage and employee benefits consultant, has been ranked #46 among the world's top insurance brokers in Finaccord's Global Insurance Broking: A Strategic Review of the World's Top 150 Commercial Non-Life Insurance Brokers. Finaccord is a market research, publishing and consulting company specializing in financial services. "Many thanks for participating in our research on the 150 largest global commercial non-life insurance brokers," said Bernd Bergmann, a London-based Finaccord Financial Services Analyst. "According to our analysis, EPIC was ranked 46th worldwide in terms of commercial non-life broking revenues in 2013." As one of the fastest growing private insurance brokerage firms based in the U.S., EPIC has been on an aggressive growth trajectory, successfully competing against the largest, institutional brokers with an entrepreneurial, client-focused business model. Since The Carlyle Group became the firm's major investment partner in December 2013, EPIC has completed four strategic acquisitions/purchases, adding nearly 250 employees in nine new locations across the United States and nearly doubling revenues from roughly $80 million to run rate revenues of almost $160 million. 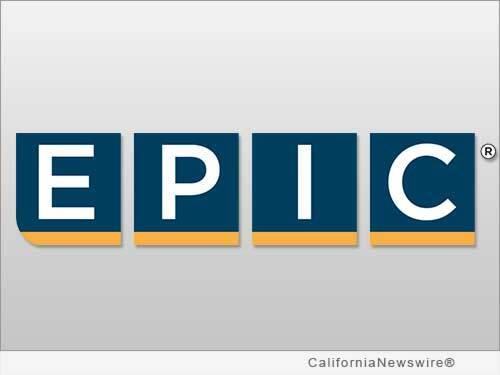 "Achieving a top 50 ranking among insurance brokers globally is an accomplishment we are very proud of," said EPIC Co-founder and CEO John Hahn. "What is even more remarkable is that we hit this milestone just seven years from our founding. This is truly a testimony to the determination, character and quality of our people and the merits of our client-focused culture, structure and practices." Additional information about Finaccord and their Global Insurance Broking: A Strategic Review of the World's Top 150 Commercial Non-Life Insurance Brokers report (including purchase information) can be found here on their web site: http://finaccord.com/uk/report_global_insurance_broking_strategic_review_world_top_150_commercial_non-life_insurance_brokers.htm .